PlayerUnknown’s Battlegrounds (PUBG) and Fortnite have together taken the Battle Royale genre to new heights, making it the plague that has now spread on to every other gaming franchise, new or old. While pure gamers might have anticipated the genre to be one of those things that would eventually fade out or get boring, recent reports suggest that things could very well turn out to be quite the opposite. 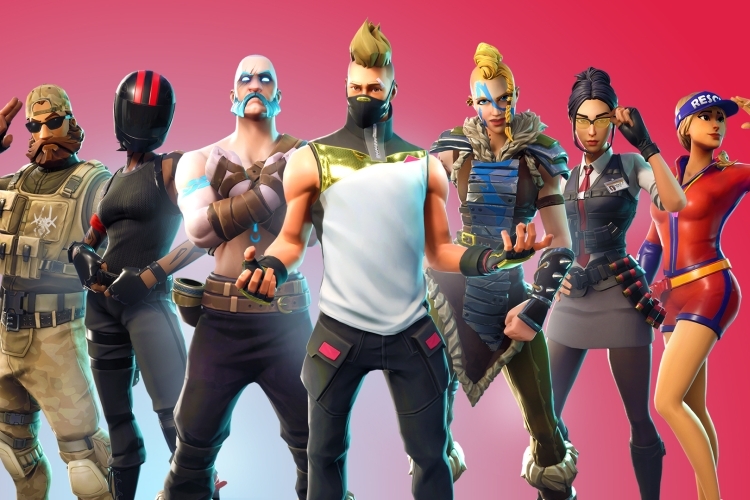 Recently, it was reported that Epic Games’ Fortnite had crossed the $1 billion revenue mark, solely with the help of its in-game purchases, or microtransactions, if you prefer to be technical. 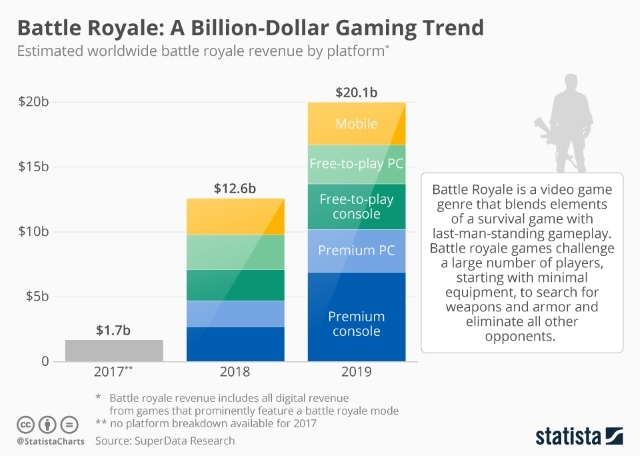 Now, as reported by Statista, the Battle Royale genre in itself is expected to grow a lot, and in that process, produce a massive revenue for the developers. According to SuperData’s estimates, the genre will generate $12.6 billion in revenue this year, up from just $1.7 billion in 2017. Additionally, an end to Fortnite, PUBG, or the battle royale craze, in general, is not in sight: with more and more game studios trying to capitalize on the hottest gaming trend, battle royale revenue is expected to climb to $20 billion next year. Gaming franchises such as Call of Duty and Battlefield have already joined in on the Battle Royale race, competing against newcomers such as Mavericks, Realm Royale, Totally Accurate Battle Grounds, and more. As much as I personally hate the fact that the same concept is being copied almost everywhere, I can’t help but deny that Battle Royale is addictive in nature. Also, with the estimated revenues of the concepts, the companies are sure to implement it in their upcoming titles.